A second visit to the RA Summer Exhibition yesterday, this time with Graham. 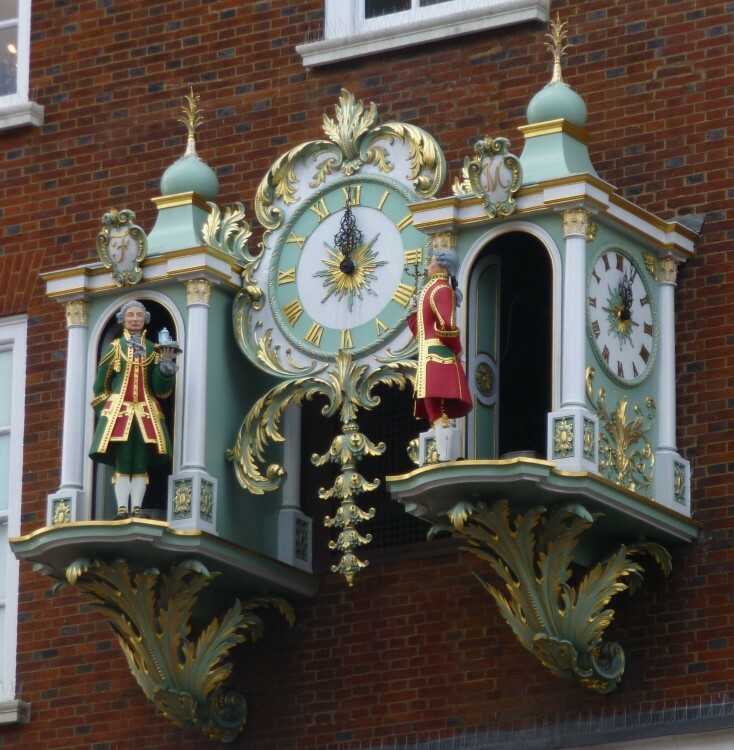 Back in Piccadilly – Fortnum and Masons’ clock struck 12 just as we were passing! We stopped off at EAT to have our usual hot chocolate before we went in, and then it was up the stripy staircase again – and it was so interesting to me how differently I perceive an exhibition depending on the company in which I view it. I noticed pictures I hadn’t seen at all, or had barely glanced at when I went with my niece in June. This time some of the works I particularly liked were ‘Railings and Magnolia Tree’ by Melissa Scott-Miller, the Svalbard intaglio prints by Emma Stibbon RA, ‘Rainfall’ by Ermioni Avramidou, ‘Track’ – a woodblock print by Rosemary Farrer. and the Brooklyn Bridge series by Anne Desmet RA. We had a rather late delicious lunch at Fishworks, just round the corner from the RA in Swallow Street, and then walked through the Burlington Arcade to Cork Street to have a look at the British Impressionists exhibition at Messum’s – well worth at visit. I was really pleased to see ‘In Primrose Time’ again, by Edward Wilkins Waite RBA (1854 – 1924) – an enchanting picture from 1893. The RA Summer Exhibition closes on 16th August, so still time for a visit if you haven’t been yet. If you have been I’d love to know what you liked best out of all the hundreds of works on show. To leave a comment click on the blue title to this post which appears on the right hand side of the page in the ‘recent posts’ box.